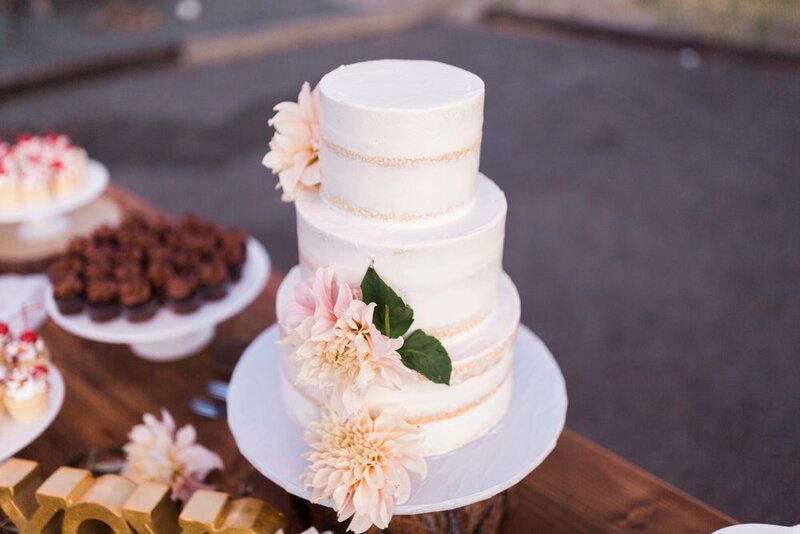 Rustic, organic, charming and romantic are just a few words that describe this detailed outdoor wedding at 3 Steves Winery in Livermore Valley Wine Country. The planners at A Beautiful Gathering carefully considered every aspect, from the outdoor furniture from Pleasanton Rentals to the flowers, with rustic elements including the farm dessert table, the loose organic floral arrangements, and the wheel barrow holding ice and soda. The flowers were a perfect fit to the theme of this wedding. Loose organic blooms with lots of greenery and soft textures. The stunning bride carried a large bouquet with lots of movement in blush pinks, whites and greens including garden roses, stock, astilbe, veronica, seeded eucalyptus, olive, and succulents. Her bridesmaids, in pastel shades of blush, mint, and beige carried all white and green bouquets with silver dollar eucalyptus and olive branches for movement. The ceremony had large rounded altar arrangements on short glass cylinders that were re-purposed on the head table for the reception. 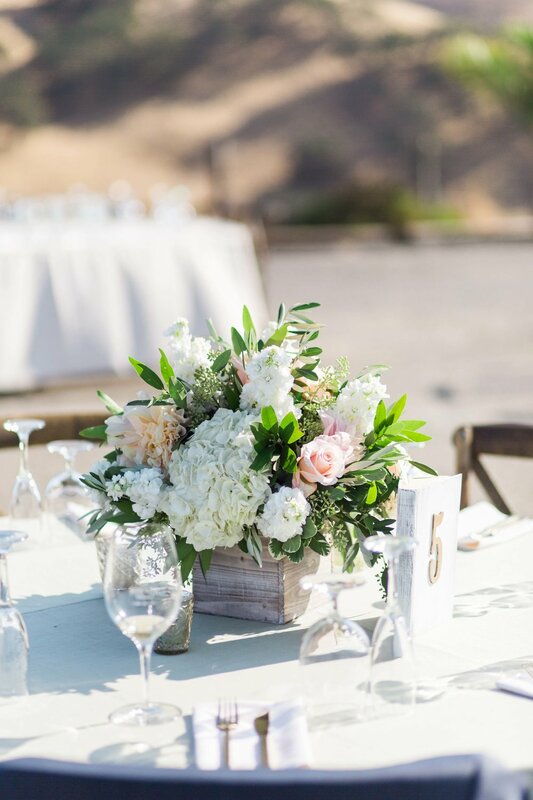 The guest tables were adorned with low lush centerpieces in rustic grey wood boxes. The cake look utterly delectable surrounded with a plethora of sweet treats by Sugar High Dessert Dispensary. The entire perfect day was captured beautifully by Francesca Penko Photography.